Thank you for your recent purchase of a Jax Shax Trailer. The purpose of this document is to explain you Limited Warranty and the process for initiating warranty claims. 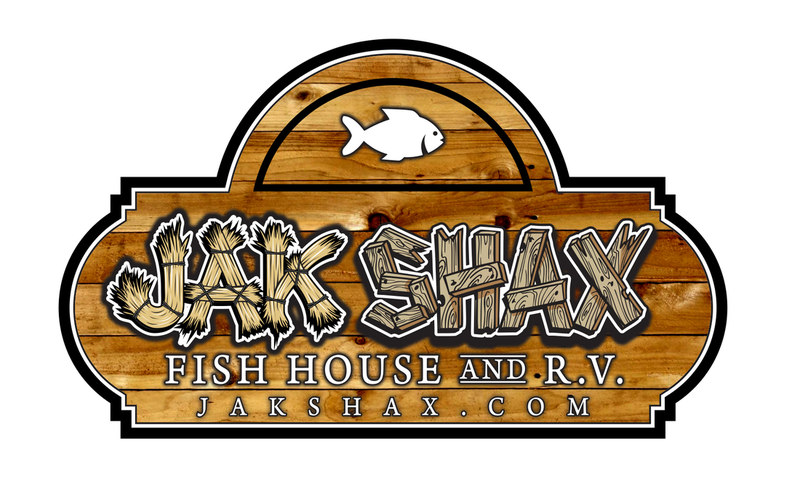 Integrity Design and Manufacturing, LLC d/b/a Jak Shax Fish House & R.V. (“Jak Shax”) warrants that the body structure of the trailer manufactured by Jak Shax (the “Trailer”) operated by the original retail purchaser when under normal use in the Continental United States will be free from substantial defects in materials and workmanship for one (1) year following the date of the original purchase, subject to the requirements, exclusions and limitations stated below which will be strictly applied. If the Trailer is rented, used for commercial hauling or used as a permanent residence, this Limited Warranty is null and void. This Limited Warranty is limited to the first retail purchaser and is not transferable. In order to validate this Limited Warranty, you must complete, sign and return the registration card provided with the Trailer to Jak Shax at P.O. Box 155, Sisseton, South Dakota 57262 within thirty (30) days of purchase of your Jak Shax Trailer. IF THE REGISTRATION CARD IS NOT POSTMARKED BY THE THIRTIETH (30th) DAY AFTER PURCHASE OF YOUR JAX SHAX TRAILER, THIS LIMITED WARRANTY SHALL BE NULL AND VOID. In addition to validating your warranty coverage, returning the registration card will allow Jak Shax to provide you with notice of any condition Jak Shax may need to supply to you after you have purchased your Trailer. Claims related to separately manufactured products not produced by Jak Shax are expressly excluded from this Limited Warranty including, but not limited to, tires, tubes, rims, batteries, appliances, and all other components not manufactured by Manufacturer. Their respective manufacturers and suppliers may warrant some of these items. Damage or deterioration due to normal wear and tear, salt, road grime, application of or exposure to corrosive chemicals or other corrosive materials, or arising from an accident of the Trailer are not covered by this Limited Warranty. Rust on the frame of the Trailer and wavy siding caused by expansion and contraction due to heat and cold are also not covered by this Limited Warranty. This Limited Warranty covers only defects in the body structure which arise from normal use and does not apply if the Trailer has been subjected to negligence, accident, abuse, misuse, neglect, excessive use, loading the Trailer beyond its gross weight limitations, improper loading, condensation, exposure to elements, acts of God, roof damage from excessive snow/ice buildup, other contingencies beyond the control of Jak Shax or the Trailer has been repaired or altered without the prior written consent of Jak Shax. Repairs made necessary by reason of failure to follow ordinary and customary maintenance procedures, including procedures recommended by Jak Shax or component manufacturers are excluded from this Limited Warranty. Repairs made necessary by reason of repairs or alterations or installation of aftermarket accessories not performed by Jak Shax are excluded from this Limited Warranty. Any use of the Trailer that exceeds the tow vehicle manufacturer’s specific limitations are not covered by this Limited Warranty. Transportation of any Trailer to and/or from your dealer or any approved repair facility shall be the responsibility of the Trailer owner. Jak Shax shall not be liable for any such costs. No reimbursement will be made to any dealer or owner for repairs made without the prior written consent of Jak Shax. Any defective part(s) must be sent by prepaid freight to Jak Shax, in order to qualify for replacement or reimbursement under this Limited Warranty. Authorized repairs do not extend the term of this Limited Warranty. Jak Shax may change the parts and design of its trailers at any time without notice and without an obligation to maintain spare parts or make corresponding changes in its previously manufactured trailers. Your dealer is responsible for submitting to Jak Shax any claim you wish to make under the terms of this Limited Warranty. 1. In order to validate this Limited Warranty, you must complete, sign and return the registration card provided with the Trailer to Jak Shax at P.O. Box 155, Sisseton, South Dakota 57262 within thirty (30) days of purchase of your Jak Shax Trailer. IF THE REGISTRATION CARD IS NOT POSTMARKED BY THE THIRTIETH (30TH) DAY AFTER PURCHASE OF YOUR JAX SHAX TRAILER, THIS LIMITED WARRANTY SHALL BE NULL AND VOID. 2. Within ten (10) days after discovering a problem with your Jak Shax Trailer, return your Trailer for inspection to your Jak Shax dealer where you bought your Trailer. 3. If your dealer cannot repair the problem free of charge and you want to file a claim under this Limited Warranty, your local dealer must send to Jak Shax, by registered letter or fax a limited warranty claim form, together with all required information, within thirty (30) days of your discovery of the defect. Prior to warranty repairs, dealer must verify unit number, purchase date and original ownership. The dealer must obtain an authorization number from Jak Shax prior to repair of the Trailer. 4. Jak Shax will acknowledge such receipt of claim by registered letter to the dealer and to the claimant. Jak Shax will respond as soon as possible, but no later than thirty (30) days after receipt of the claim. 5. Any defective part(s) must be sent by prepaid freight to Jak Shax at 12 Veterans Avenue, Sisseton, SD 57262, in order to qualify the claimant for replacement or reimbursement under this Limited Warranty. ANY DEFECTIVE PARTS MUST BE RETURNED TO JAK SHAX WITHIN TEN (10) DAYS FROM DATE OF APPROVAL TO QUALIFY FOR REIMBURSEMENT SUBJECT TO REQUIREMENTS OF APPLICABLE FEDERAL LAW. 6. Jak Shax will not reimburse any claimant for any adjustment or repair of your Jak Shax Trailer without prior written approval by Jak Shax. 7. If you return your Jak Shax Trailer for repair to the factory, we will warrant the repair or replacement parts until one (1) year from your date of purchase of the Trailer. If authorized repair must be done other than at the factory, Jak Shax, will not warrant such repair work or replacement parts. 8. Jak Shax’s obligations under this Limited Warranty shall be limited to repairing or replacing any part or parts which, in the opinion of Jak Shax, shall prove defective in materials or workmanship under normal use and service during the one (1) year period commencing with the date of the first retail purchase and no other remedy is available. Jak Shax reserves the right to not pay unreasonable costs for replacement or repair of defects in your Jak Shax Trailer and may, at its discretion, establish a reasonable reimbursement for any authorized work performed under the terms of this Limited Warranty. Jak Shax is not responsible for damages to goods stored inside of the Trailer. THIS WARRANTY IS EXPRESSLY IN LIEU OF ALL OTHER EXPRESS WARRANTIES AND REPRESENTATIONS. JAK SHAX MAKES NO OTHER REPRESENTATION OR WARRANTY OF ANY KIND, EXPRESS OR IMPLIED, WITH RESPECT TO YOUR JAK SHAX TRAILER WHETHER AS TO MERCHANT ABILITY, FITNESS FOR A PARTICULAR PURPOSE OR ANY OTHER MATTER AND ANY SUCH REPRESENTATIONS OR WARRANTIES ARE HEREBY EXCLUDED AND DISCLAIMED. IF THEY CANNOT BE DISCLAIMED, ANY IMPLIED WARRANTIES OF MERCHANT ABILITY AND FITNESS FOR A PARTICULAR PURPOSE ARE EXPRESSLY LIMITED TO THE ONE (1) YEAR TERM, UNLESS ANY APPLICABLE STATE OR FEDERAL LAW PROVIDES OTHERWISE. NO ONE, INCLUDING AN AUTHORIZED JAK SHAX DEALER IS AUTHORIZED TO MAKE FURTHER OR ADDITIONAL WARRANTIES ON BEHALF OF JAK SHAX OR TO MODIFY THIS LIMITED WARRANTY. No dealer, distributor, agent, representative of Jak Shax, or other person is authorized to make any representation or a promise of warranty concerning Jak Shax’s Trailer on behalf of Jak Shax except to refer the purchaser to this Limited Warranty. This Limited Warranty provides specific legal rights. You may have additional rights not included in this Limited Warranty, which vary from state to state. No action to enforce this Limited Warranty shall begin more than six (6) months after a defect is discovered and shall not commence after expiration of the stated warranty period. By sending in the registration card, THE PURCHASER ACKNOWLEDGES THAT HE OR SHE HAS READ THE ABOVE LIMITED WARRANTY AND AGREES THAT, SHOULD ANY WARRANTY CLAIMS BE MADE BY PURCHASER, PURCHASER WILL FOLLOW THE PROCEDURES AS SET FORTH IN THIS LIMITED WARRANTY.